About - INDIANOLA PRESCHOOL, INC.
Indianola Preschool is a nonprofit organization governed by a nine member volunteer board of directors. We proudly offer teachers, programs and facilities to help your child have a positive beginning to his/her school experience. Our program began in 1955 as a nursery school in the First United Methodist Church. Later, more structured three and four year old classes were offered at Mount Calvary Lutheran Church. 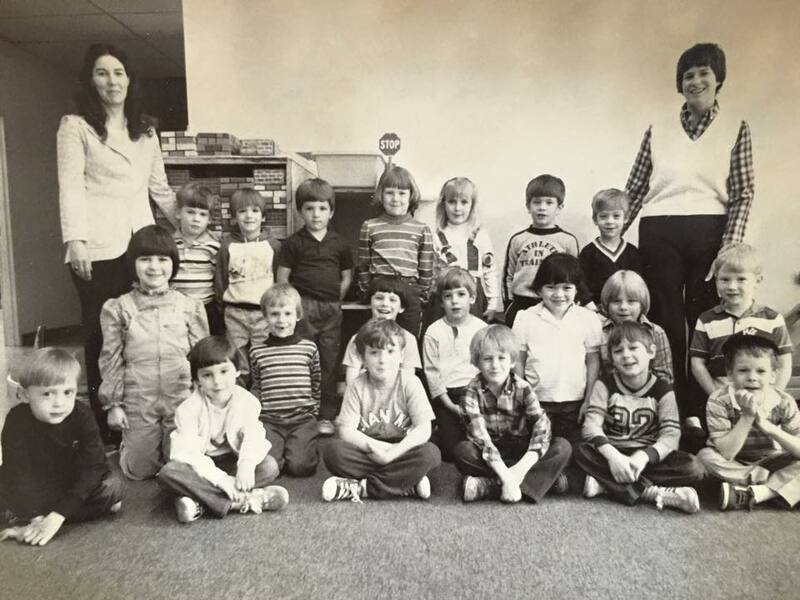 In 1979, we moved to Redeemer Lutheran Church to help accommodate growing class sizes. In 1982, we again moved—this time to First Baptist Church—so we were able to expand our program. In 1986, we relocated to our present facility at 205 South Howard. 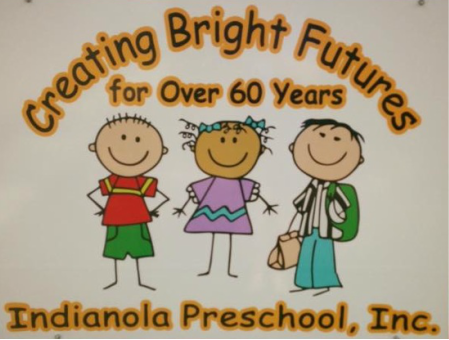 The philosophy of Indianola Preschool, Inc. is to provide a positive first step towards your child’s educational future, in an environment that encourages creativity, individuality and positive self-esteem. ​We strive to provide a comprehensive, developmentally appropriate curriculum dedicated to ensuring kindergarten readiness. We as parents of two children who have attended IPS have and will continue to recommend IPS to ANYONE! We love the close family feeling between the classmates and parents/ teachers. We have watched our girls, who are very different learners, blossom so much educationally and socially from being there! So thankful that our girls had such great mentors! I support IPS because of the variety of things they teach their students, including writing, letter sounds, shapes, routine, sequencing, patterns, space, fire safety and even the limbo! I am so thrilled that they incorporate the Annette Nature Center and the library into their curriculum. Most of all, I support the wonderful IPS staff. They show endless patience, kindness and eagerness to teach each day. I have found my experience at IPS to be as magical for me as a parent, as it is for my child. What a great first start to our school years! IPS prepared my daughter with the social and academic skills she needed to thrive in kindergarten. IPS teachers are the nicest people anywhere. As a parent I've developed a friendship and partnership with them. They genuinely care about providing the best development opportunity for my son! With outstanding field trip opportunities, an ongoing program of community speakers, an exciting environment for imaginative play, and a 'just right' emphasis on academic skills make IPS the absolute best preschool choice for my child. My family’s experience at Indianola Preschool has been incredible! I didn’t know what to expect when sending my oldest daughter to preschool. What my family has found is personalized communication from the teachers and director, an impressive level of learning from my daughter and a caring community that welcomes parent involvement. I am so thankful for the weekly class newsletters, impromptu pictures and special projects that come home in my daughter’s backpack because they allow my family to be involved with her learning and growing. My daughter’s experience at IPS will no doubt give her a solid foundation for her future learning. She has fun and looks forward to going to school each day. I have been very happy with IPS. My son has made great strides in his learning and made some amazing friends. I love how they embraced his creative side and allow him to use his imagination in play and art. The teachers are so engaging and care about every single student. I am so thankful we chose IPS when we moved to Indianola. The teachers and staff are wonderful. The After Care program allowed us the convenience of leaving her there for the day without worry as well as the continued enrichments and play time she loved. Our daughter walked in and out of school with a smile on her face every day; it was her happy place. IPS provides the education children need to be ready for school along with the love and support they deserve. We love IPS!